For the members of Fairy Tail, a guild member’s work is never done. While they may not always be away on missions, that doesn’t mean our magic-wielding heroes can rest easy at home. 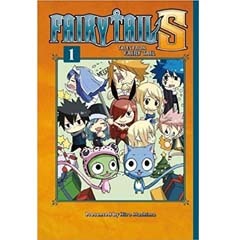 What happens when a copycat thief begins to soil the good name of Fairy Tail, or when a seemingly unstoppable virus threatens the citizens of Magnolia Town? And when a bet after the Grand Magic Games goes sour, can Natsu, Lucy, Gray, Erza turn the tables in their favor? Come see what a “day in the life” of the strongest guild in Fiore is like in nine wacky short stories!